Stirrups are a necessary and essential accessory to Equestrian sports. For this reason, we have drawn, conceived, and manufactured the alfa-jump stirrups in our workshop, certified Iso 9001, in France. We have developed our product line in collaboration with professional riders, aligning our technical knowledge and passion. Lightweight and comfortable, with a choice of soleplates, perfectly match your requirements whatever your riding discipline. Rounded stirrup leap to preserve a breakage by breaking point. Branches rounded inside to avoid wear of the boot by friction. Rounded shape to preserve the saddle when the stirrups are reassembled. 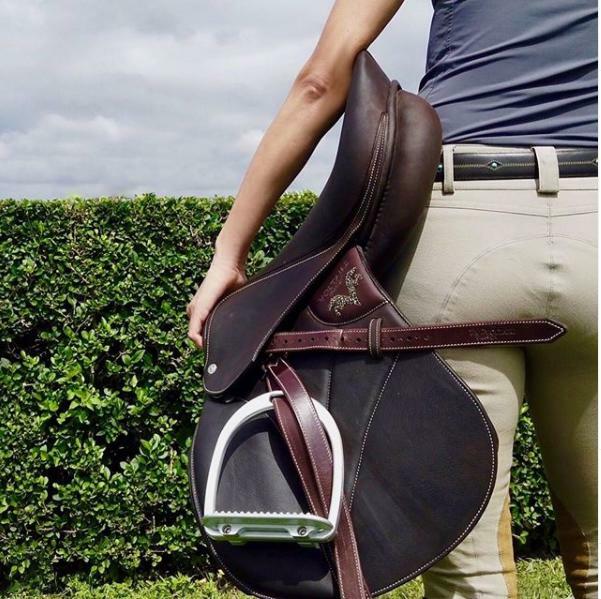 Made to perfectly match your requirements whatever your riding discipline.